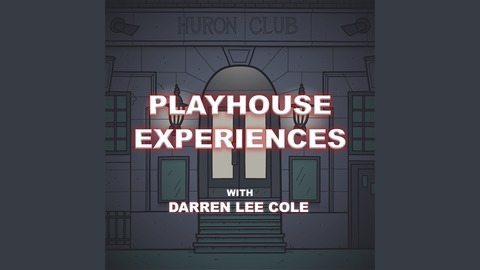 Welcome to Playhouse Experiences, hosted by Artistic Director of SoHo Playhouse, Darren Lee Cole. On this podcast you’ll be able to listen to interviews with both renowned and emerging theatre artists from around the world, explore why theatre is still central to culture in the 21st century, and hear about the balancing act between poetry and commerce. You’ll be able to follow Darren Lee Cole as he travels around the world in search of important and meaningful art to bring back to New York City. Hear the stories of how shows are developed, showcased and produced throughout the world all leading to performances at the historic Off-Broadway theatre, SoHo Playhouse here in downtown Manhattan. 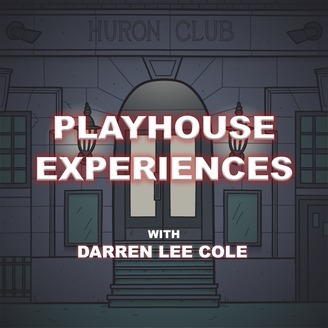 It’s an audio experience filled with candid conversations, edgy thoughts, and a vision for the vitality of theatre in a rapidly changing time. It's opening night at the Soho Playhouse. After the opening of James & Jamesy in the Dark, Darren Lee Cole interviews Aaron Malkin and Alastair Knowles downstairs in the Huron Club. They talk about what it takes to work together, the sacrifices that were made in order to pursue this art, and a little bit about their Fringe Festival experiences. Fringe Encore 2018 Winners are also announced towards the end of the festival.